Discover how to “dig deeper” to uncover and resolve the deep subconscious thoughts and beliefs that can block our healing. The “digging” work used in ThetaHealing is an essential tool to help access your client’s key core beliefs. Unless we can identify the true heart and origin of the problem, it can be hard to know what beliefs to change. It can also mean that the changes made may only be temporary, and un-cleared negative beliefs can be barriers to true healing. Many of the ThetaHealing techniques work instantly. However, when the results are not long lasting, or the healing is not accepted at all, it is because of beliefs that the person holds. Being able to get comfortable with how to “Dig” and find those beliefs enables your use of the ThetaHealing techniques to be really powerful. This workshop is designed to bring you to that level of skill with your digging, so that you can confidently dig to find your clients key core beliefs that underlie their blocks to healing. This workshop will empower you to help your clients understand their own behaviours and lives, and to live in their highest potential. 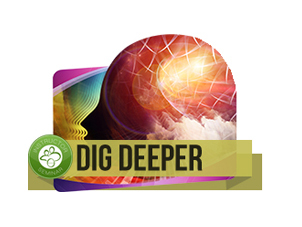 On completion of the 2 day Dig Deeper workshop: you will have proficient knowledge and experience to use the techniques to release and uncover the hidden beliefs that we may be operating on, for yourself and your clients. Included with your workshop: Dig Deeper ThetaHealing Practitioner Manual; Certificate of Completion, morning and afternoon teas. Pre-requisite: You need to have attended Basic and Advanced ThetaHealing to be able to attend this course. Your investment for the workshop: $635 (gst incl). To take advantage of the early-bird discount (save $95 and pay only $540 gst incl.) enrol no later than 21 days before the start of the workshop. If a student needs to withdraw from a workshop prior to the workshop starting, they will be refunded the amount they paid less the cost of the textbook (if already sent) and a $150 administration fee. Students are asked to give as much notice as possible if they need to withdraw from a workshop. Once started, there will be no refunds given to students who decide to withdraw. If Joss Hobson needs to cancel a workshop, fees will be refunded in full, minus the cost of the textbook (if sent). Sign up today to enrol in this Dig Deeper ThetaHealing workshop. Pay via 3 installments, charged monthly to your account. A 10% surcharge applies.